Come back often for new interviews and reviews with your favorite Lucky artists. Album Review: John Mellencamp, "Freedom's Road"
Patriotism and love for America have always informed John Mellencamp's music and progressive politics. His new set, "Freedom's Road," is his most unabashedly American album yet. Of course, there's nothing as powerful as "Scarecrow" or "Pink Houses" here, but "Freedom's Road" does contain some potent explorations into poverty, racism and jingoism. His duet with legendary protest singer Joan Baez on the impressive "Jim Crow" is as affecting as Mellencamp's "Jackie Brown." It's a clear standout. Elsewhere, Mellencamp offers a quiet sermon with "Rural Route," a haunting tune that gallops along at an intensifying pace. But this is not the old-school John Mellencamp. Not by a long shot. "The Americans" is a glossed-over, ready-for-a-truck-commercial anthem. Its chorus is grueling. Sings Mellencamp, "I'm an American/And I respect you/For your point of view." Come on. Thankfully most of "Freedom's Road" is a better written than that clumsy line--except for that other ready-for-a-truck-commercial track, "Our Country," already featured in a GM truck commercial, naturally. 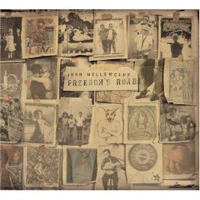 While "Freedom's Road" doesn't come close to the powerful Americana Indiana's favorite son has delivered in the past, it does provide enough firepower to remind fans that John Mellencamp still has something important to say--even if it sounds a little cheesy some of the time. 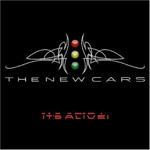 Album Review: The New Cars, "It's Alive"
The New Cars may not have the original iconic voices of Ric Ocasek or the late Benjamin Orr, but you'll still get from point A to point B. The bulk of "It's Alive" is an early concert performance featuring the new lineup--vocalist Todd Rundgren, guitarist Elliot Easton, keyboardist Greg Hawkes, bassist Kasim Sulton and drummer Prairie Prince--with a few new songs in both live and studio forms. Truth be told, new frontman Rundgren adequately approximates Ocasek's quirkiness, while his natural tenor is more reminiscent of Orr. From the live show, after a bit of a nervous-butterfly start with the ubiquitous "Just What I Needed," he settles in and delivers perfectly good versions of "Let's Go," "The Dangerous Type" and "Bye Bye Love." Instrumentally, original members Easton and Hawkes own every musical layer, and truly shine when adding vocal harmonies to "Best Friend's Girl" and "Good Times Roll." Utopia's Sulton and Tubes drummer Prince lay the foundation, and Prince, in particular, plays spot-on David Robinson parts with ease. The newer material feels like we never left the '80s, and the backhanded humor of "Not Tonight" ("I'd like to have a chance to treat you right / but not tonight") emphasizes where much of the band's classic songwriting came from. Not the Original McCoy, but definitely worthy wheels.